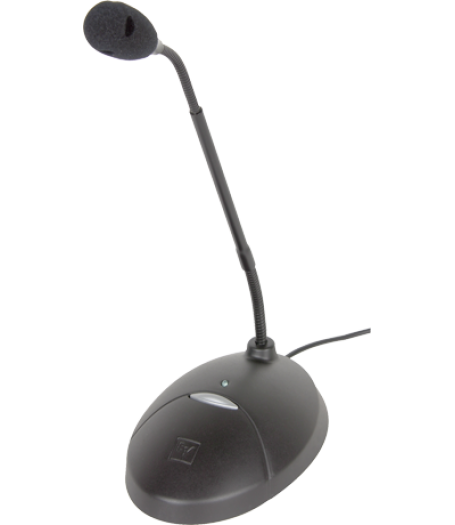 The PC Desktop is a free-standing tabletop microphone with a dual-section gooseneck and an elegant base. With easy switching between four polar patterns—omni, cardioid, super-cardioid, or hyper-cardioid—the PC Desktop is always the right microphone, even under a variety of conditions. Available with 5-, 12-, or 18-inch gooseneck.